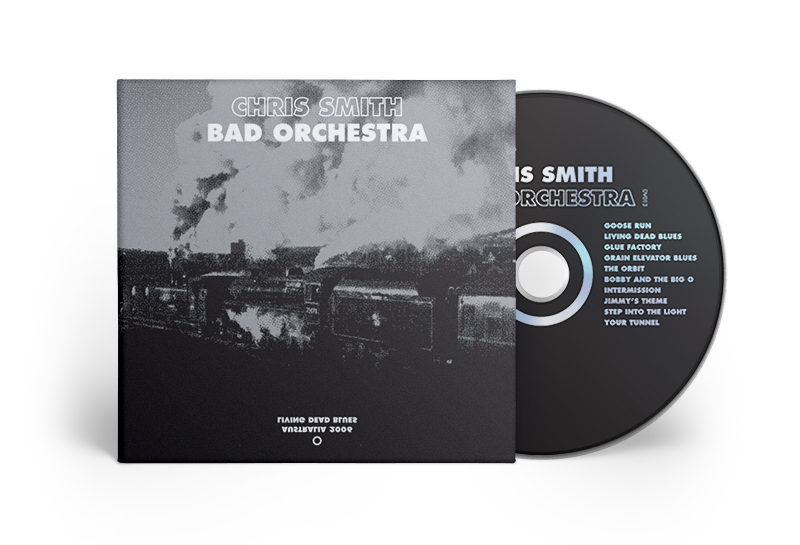 Creating the album artwork for Chris Smith’s wholly excellent and heart-rendingly beautiful release Bad Orchestra was a sheer pleasure. The outcome using archival photography, photocopier degraded reference material, strong typography and hand drawn etching was produced as a x2 spot colour print, cool metallic silver (PMS 877C) & black. The finished result reminiscent of a silver gelatin photograph, creating it’s own balancing act between luminescence and darkness.